“The extent to which we are surprised by the results of the election demonstrates the poverty of our relationships. The extent to which we don’t understand the need for immigration reform demonstrates the poverty of our relationships.” As I listened to Dr. Christena Cleveland at Eastern Mennonite Seminary’s School for Leadership Training (SLT), I was struck yet again by a consistent theme: we need each other, in all our differences, to glimpse the power of God and join in the work of God in the world. One of the things I love about SLT is that it turns people of authority into students for a few days. The ones I’m used to seeing up front at conference and denominational events are sitting and listening, taking notes and asking questions. At SLT, we participants — the majority of us white church leaders with a significant amount of agency in our daily lives — learned from keynote speakers Dr. Cleveland and Drew Hart about race in society. We were called to take our turn “at the foot of the table,” as Dr. Cleveland said. That’s how we really live into Jesus’ upside-down kingdom. 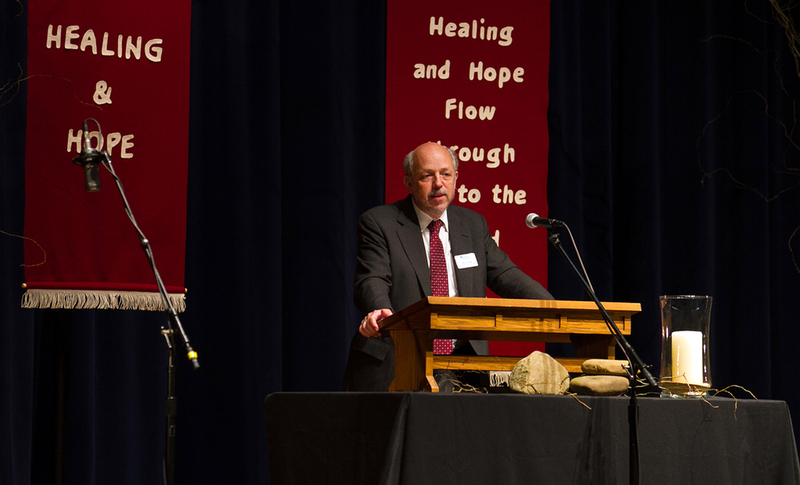 Using illustrations from scripture and their lives, the speakers explored the depth of race’s impact on our society. They explored how our racialized society maintains itself and why it’s so hard for white people to see and confront racism — why we need people with a “view from the underside,” in Hart’s words, to recognize it. They called the largely white audience to recognize how we’ve been socialized into racial bias, and that Jesus never called us to shame but to repentance and new life together. Dr. Cleveland showed us by example how to notice privilege in our own lives. We were being tutored in how to reach beyond ourselves as a demonstration of respect and also of our need. But it’s not just that we need each other’s perspective, or that we need to learn from one another to understand Jesus’ message. No, we each have a role to play in dismantling racism, wherever we are. When we’re uncomfortable we can benefit by staying at the table and continuing the conversation. In fact, that’s what we were doing at the conference: listening, learning, checking our assumptions and discerning our next steps. 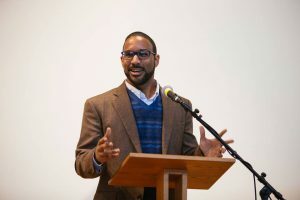 One conference attendee asked Drew Hart, “What can I do about racism in my predominantly white community?” and Hart responded, “You’re right at the center of the action!” Throughout the conference I heard calls to learn and act right where we are, building relationships with our literal neighbors. I attended a workshop where we practiced listening to people we disagreed with. In another workshop we discussed what it means to “seek the peace of the city” where you are (Jer. 29:7) and spent some time brainstorming for our own contexts. I left SLT with a clear sense of my need for others’ perspectives, and also of my ability to make a difference where I am. And I came home with new questions: Who might I need to listen to better in order to gain a fuller understanding of Jesus? Where might my privilege be causing me to miss an important lesson? And how can I stay true to what I’ve learned about power and justice right here in my daily life? In the early 90s, a popular children’s television game show called “Where in the World Is Carmen Sandiego?” was broadcast on PBS. The show was based on a series of computer games designed to help viewers sharpen their geography skills. 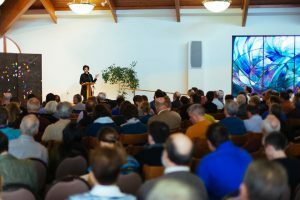 In Franconia Conference, you could ask a similar question—“Where in the world is Steve Kriss?”—and in the process, learn many wonderful things about people and congregations of Franconia Conference. You’ll need a map of the east coast of the United States to trace Steve’s travels; geographical stretch, in Steve’s case, is an understatement. 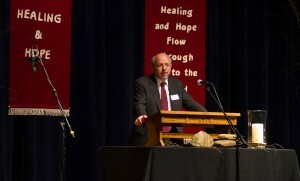 Steve preaches often with the congregations the he serves alongside as LEADership minister. On February 22, Steve preached twice in South Philly with Adrian Suryajaya who interpreted into Indonesian, first at Philadelphia Praise Center then at Indonesian Light Church. The congregations are about a half mile apart but reach different communities due to worship style and cultural backgrounds. Photo by Bam Tribuwono. Steve carries LEADership minister responsibilities for 12 congregations, located as far north as Vermont and as far south as Georgia. 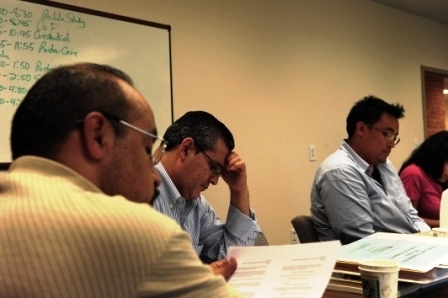 Currently, four of the congregations are in pastoral search processes, and another is working on a pastoral review. Steve’s goal is to nurture healthy relationships with all the congregations he walks alongside. Next, watch for the locations of new congregations. 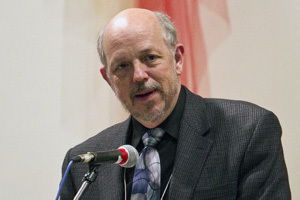 Steve is often involved with helping them to launch their ministries and build connections in the conference and denomination. “It’s a privilege to walk with them. 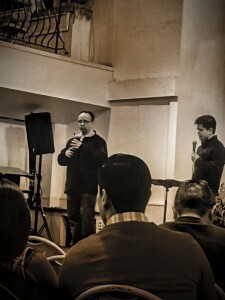 I enjoy the energy and enthusiasm they bring to God’s work,” Steve says. Right now, Steve works with three new congregations emerging in South Philly. Some of the congregations Steve works with are in the same area, such as the Lehigh Valley trio of Whitehall Mennonite Church, Ripple and Vietnamese Gospel Mennonite Church. At the new conference center on the campus of Christopher Dock Mennonite High School, Steve serves with the conference board’s ministerial committee as its staff person. This group guides the licensing and ordaining processes for new ministers and cares for credential transfers when ministers move in and out of the conference. The committee also provides continuing education for credentialed leaders. In this role, Steve also provides coordination among the LEADership ministers. On the road again, Steve preaches usually twice a month around the conference, and handles all manner of inquiries about congregational leadership. If you watch closely, you might find young adults and new pastors “on location” with Steve. 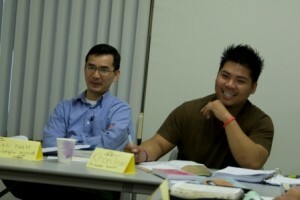 Mentoring is an important part of cultivating leaders for the church. You will find him teaching in a classroom for Eastern Mennonite Seminary’s satellite classrooms in Philadelphia, Norristown, or Souderton. Sometimes his many travels double as field trips. Look behind the scenes, too. As director of the conference’s communication team, Steve’s travels around the conference inform the planning and writing for Intersectings (the conference e-zine), Intersections (the newsletter), the conference’s website and other communication tools. The goal is to help make connections in the conference, and raise awareness of what is happening conference-wide. In any given week, Steve may be found in enough places to highlight in a half-hour game show from Blooming Glen, Pennsylvania to Bridgewater Corners, Vermont or Sky Cafe in South Philly. 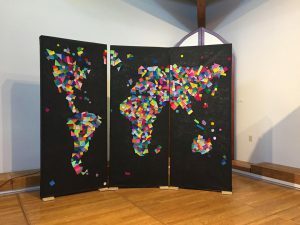 But these travels mean more than that; they’re part of cultivating God’s dream in all of the places the people of Franconia conference live, work and worship. Two “members” of Chloe’s house church preside over the bread and juice served at the agape meal held at the end of a chapel service at Eastern Mennonite Seminary, Harrisonburg, Va.
by Reta Halteman Finger, Harrisonburg, Va.
“Oh, yes!” the literal-minded Wilmer Halteman would affirm. Though I inherited a love of scripture from my dad, I never imagined for many years that one could make a career out of teaching it. In those growing-up decades, I suppose being born female didn’t help either. Through my adult years of working with children (including my own) and high school students and editing a small magazine, I pursued my interests in Bible and theology on the side, usually one or two courses at a time. Finally, pondering what to do with the second half of life, I entered a doctoral program in New Testament at Garrett-Evangelical Theological Seminary in Evanston, IL, not far from my home in Chicago. I wanted to study with Dr. Robert Jewett, a Pauline scholar at Garrett. But Romans was the only course he offered that fall of 1991. I was not pleased! I was more interested in the archeology and social backgrounds of Paul’s letters than what I assumed was the more tedious systematic theology of Romans. Imagine my shock at our first class when Jewett read and discussed his paper on “Paul, Phoebe, and the Mission to Spain”! I didn’t know Spain was mentioned in the New Testament, and I didn’t have a clue about Phoebe’s immense importance in Paul’s missionary plans. In class after class, I was stunned by this new perspective on Romans. The previously boring list of 29 names in Romans 16 now became living characters from five different house churches, including 9 women leaders. “How come I never learned this in Sunday school?” I would lament. Finally I realized that this material had been so recently researched that no layperson was learning it anywhere. But could it be taught in Sunday school? Is there a way to re-create these little house churches so Christians can imagine their way back into the earliest Jesus Movement and thus better understand what Paul said and how to apply it today? Thus was born the idea that eventually became Paul and the Roman House Churches: A Simulation (Herald Press, 1993). It was set up to be used in Sunday school, as well as in other settings. 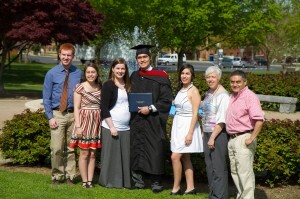 I taught New Testament 14 years at Messiah College until retiring in 2009. Each fall, my Encountering the Bible class of incoming first-year students role-played the five house churches in Romans 16 for a month. Each student played a different character—Jew or Gentile, liberal or conservative, poor or not-so-poor. 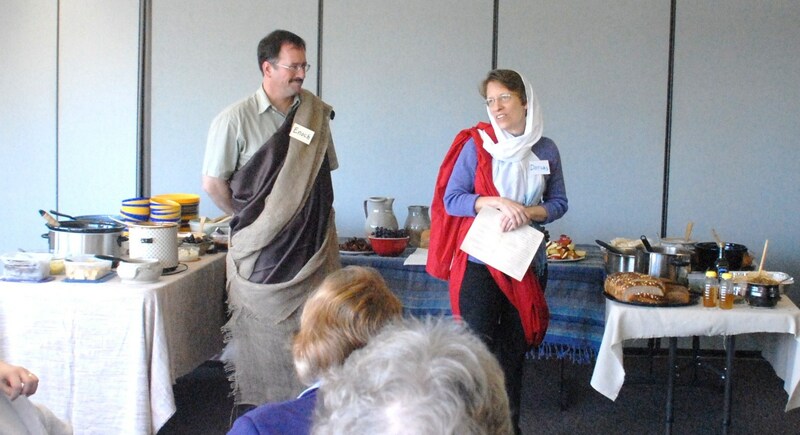 We’d end with a Roman meal complete with costumes, candles, communion, and a lentil-ham option to tempt the observant Jews! Today we are so pleased that MennoMedia is helping us reach a wider audience through Creating a Scene in Corinth: A Simulation (Herald Press, 2013) and I am returning to my old stomping grounds to teach a class based on our book for Eastern Mennonite Seminary, Pennsylvania campus. My father’s love of scripture has borne fruit in me as I seek to help the letters of Paul come alive for my students, stepping back into the world of the first century, a world that is still relevant today. Join Reta’s Corinthians class, which will run bi-weekly on Fridays, September 13 to December 20 at the Mennonite Conference Center in Harleysville, Pa. For more information, visit Eastern Mennonite Seminary, PA’s website. 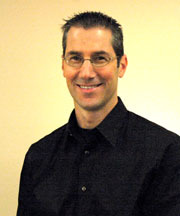 Vice President and Seminary Dean Michael A. King addressed the gathering crowd during opening worship at the 2013 School for Leadership Training. This was a theme of the 2013 School for Leadership Training (SLT) at Eastern Mennonite Seminary (EMS), Jan. 21-23, which was titled “Imagine Church as Healing Space.” The event attracted over 270 participants and resource persons who sought to “hear, hold, and hope” amid mental health challenges. Hosted and planned by EMS, the event felt historic: multiple participants said this was the first time in a public church context they had felt part of the group, not in spite of but because of their depression, anxiety, bipolar diagnosis, schizophrenia, and more. This was the first time they had felt normalized, not stigmatized, with their journey held in love, not primarily met with silence or marginalization. We see that experience, so easy to report but so rarely experienced, as a key gift the 2013 SLT offered. A second gift was space to tell and hear the pain mental illness causes both its sufferers and those who love them. Earl and Pat Martin offered searingly moving glimpses of their journey through their son Hans Martin’s development of symptoms of schizo-affective disorder. Earl shared journal entries he had written during the sleepless nights after Hans was first hospitalized. In these contemporary psalms of lament, Earl raged at a pitiless God who treats his creatures like vermin, snapping off their limbs, leaving them soaked in their own blood. Earl railed at this God as the sick one who should get treatment for insanity. He reported that after he stopped writing of his own volition, spent, his pen kept going and offered words from God, who said that God’s own son was in fact in treatment and was the roommate in a neighboring bed whom Earl had feared would hurt Hans. A third gift was hope. This was not a cheap hope. Many at SLT, from participants through resource persons, told of confronting the anguish caused by suicide. To name just one example, in a laughter-yet-tear-stirring blending of drama and storytelling, Ted Swartz told of his journey through his comedy partner Lee Eshleman’s battle with depression and of how the suicide to which it drove Lee so shattered Ted’s own life and career that years have gone into rebuilding. Yet precisely in this heartrendingly open naming of the torment, Ted offered hope—hope for himself and hope for those still grieving the loss of their own loved ones. Hope was also movingly offered through stories of persons seeking to live recovery-focused lives even amid the diagnosed illnesses once thought to be themselves virtual death or at least imprisonment-in-miserable-conditions sentences. John Otenasek, himself a “consumer,” as he put it, in recovery, led a panel of men (including Hans Martin) and women who told of enduring addictions, joblessness, homelessness, and more. Yet they also spoke of finding hope—often from peers confronting their own illnesses—enabling them to live meaningful and even joy-tinged lives while navigating ongoing bi-polar episodes or hearing voices. And hope was offered when Tilda Norberg modeled what can happen when we attend to the “God icons” in our lives and dreams. She risked a live Gestalt pastoral counseling session with a courageous Sherill Hostetter. Drawing on insights from one of Sherill’s recent dreams, Norberg led Sherill in working through how her mother’s undiagnosed and untreated mental illness had affected her as a child and even now as a leader. 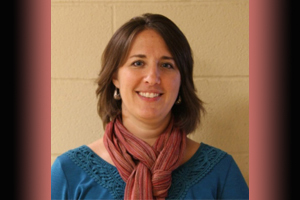 She more fully claimed her own empowered voice as a recently ordained minister and congregational consultant. When we checked with the Martins to make sure our references to their stories were acceptable, Pat said, “One of the SLT statements that stuck with me… pulled us all into the common task of being human: ‘Recovery is about claiming one’s story. The tools are the same for all of us whether struggling with mental illness or an overwhelming job.’” At EMS we’ll continue to ponder how, whatever the details of our stories may be, we help each other claim them. Joan K. King is senior integration consultant, The National Council for Community Behavioral Healthcare, and owner of Joan K. King Consulting and Counseling LLC. Michael A. King is dean of Eastern Mennonite Seminary and a vice president of Eastern Mennonite University. Pondering what it may mean “to Mennonite” reminds me of a friend who leads a state agency serving persons with disabilities. Just returned from Washington, D.C., he reported a grim picture: the likelihood that a divided Congress won’t get its act together to release funds his agency relies on. Any cuts will hurt people with faces I cherish, because my friend has come to lead this agency as an outgrowth of love for his own children with Down Syndrome. I found our conversation chilling. Has it come to this? Are we so divided we can’t find common ground even to support persons with disabilities? This is not to minimize complexities; it’s appropriate to ponder the roles of, say, government versus church in caring for “the least of these.” But my friend works tirelessly to raise funds from church folk—yet they provide a fraction of the needed revenue. So how have we reached a juncture at which even seeing some role for government to play in funding my friend’s agency—why should my taxes support those takers!—may pull me into the vortex of mutual hate which seems the only thing we now know how to build together? My point isn’t to argue specifics of one more divisive matter. It’s to grieve what seems our loss of ability to work across legitimate differences to discern solutions. And it’s to suspect that an important meaning of “to Mennonite” in such bitter times is for us to learn and maybe model what love amid division can look like. 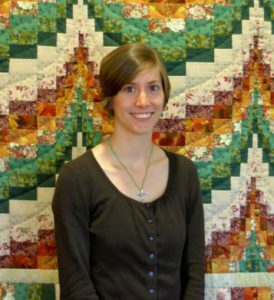 From our beginnings Mennonites have sought a “third way,” an understanding of Bible, faith, and life that doesn’t quite fit into Protestant or Roman Catholic categories though it can enrich and be enriched by both. Key to third-way understandings has been unusual passion to take Jesus’ teachings in the Sermon on the Mount literally. This in turn has led Mennonites to believe that Jesus actually meant for us to love even enemies (Matt. 5:44)—here, now, concretely. Perhaps our most prominent expression of such love has been through conscientious objection to killing enemies in wartime, and this remains a vital Mennonite conviction. Increasingly, however, I wonder if we risk so focusing on enemies out there that we fail to learn how to love the enemies we make of each other. When we differ over today’s hot issues we seem ever more inclined not to treat persons who hold different views as fellow pilgrims seeking, with us, to hear God’s voice amid our common finitudes and frailties. We seem ever less inclined to trust that God could be threaded through any view other than our own. Rather, we seem ever more ready to believe that if you hold a view other than mine you are my enemy. Maybe with so much alienation swirling, the one who is not my friend is, precisely, my enemy. But even if we accept such a troubling conclusion, to Mennonite our way through it may then be to ask what it means to love the viewpoint opponents we have made our enemies. Amid my own limitations of vision, let me not offer a formula for navigating such complicated terrain. Yet let me at least suggest that to Mennonite our way through a time in which we turn even other Christians and Mennonites—not to mention, say, atheists or Muslims or Republicans or Democrats—into enemies is to find ways to repay even what we consider evil with good (Rom. 12:21). When I was growing up, I saw my parents model what such Mennoniting might look like: no matter how much they might disagree with a person’s beliefs or choices, precisely because they always took seriously that even the enemy was to be loved, they always spied treasure in the other. It might be tarnished; it might need polishing; the light of Christ might barely brighten it. But it was there—and thus was something even in the enemy that could be cherished, learned from, not merely vanquished. I would like to try Mennoniting like that in today’s world and see where it takes me and us. Our summer blog series will soon be wrapping up. Have there been any insights that have touched you, made you think, connected with your experience? How do you “Mennonite”? Join the conversation on Facebook & Twitter (#fmclife) or by email. Bobby Wibowo (Philadelphia Praise Center), Dorcas Lehman, Tracy and Barbara Brown, Scott Hackman (Salford), and instructor Steve Kriss (Franconia Conference director of leadership cultivation) traveled to the UK last month to study Anabaptism in a Post-Christendom context. The Anabaptist movement has re-emerged in Post-Christendom Europe and it may give American Mennonites insight into our future. 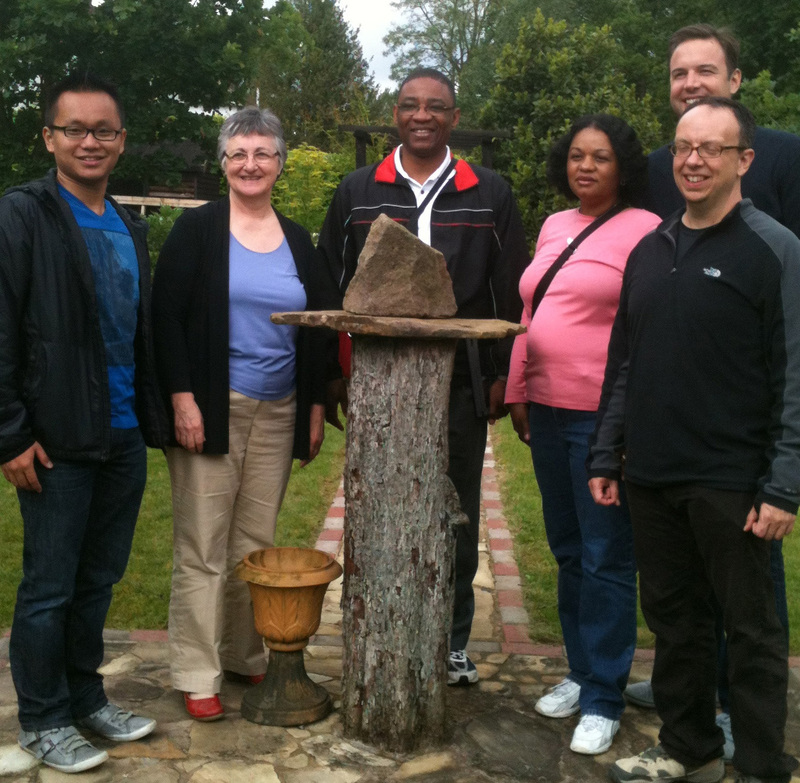 Last month, I participated in a cross-cultural class through Eastern Mennonite Seminary that took us to Bristol, Birmingham, and London, England. There my classmates and I saw glimpses of hope from the UK Anabaptist movement, where people are asking basic questions about the purpose of church and joining God’s mission of restoration in their context. Post-Christendom is the transition from the church as the center of power in society to the church on the margins of society. This is often manifested in the embrace of other religions, even as Christianity is declining. 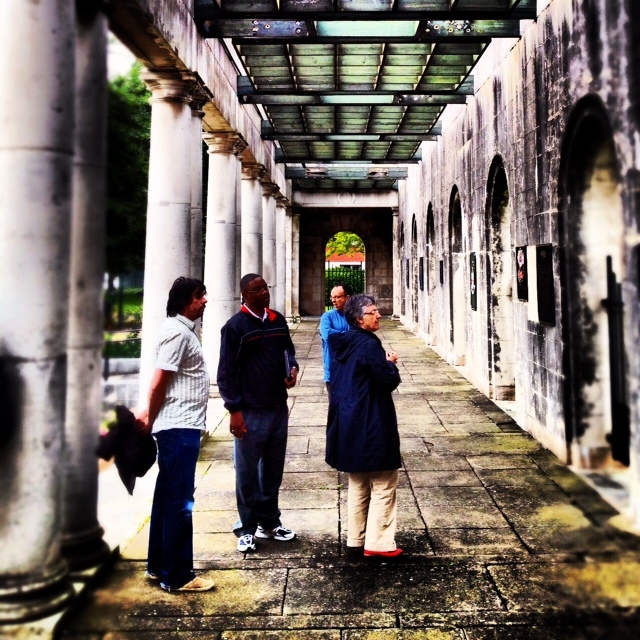 The Muslim faith community is growing rapidly in England; an estimated 50% of people attend a Mosque every week. “I am a Christian from America and I don’t support our wars against your people,” I responded. In that moment I began to understand our Post-Christendom context, where I could express my identity and have a conversation with my “enemy,” and all because he modeled this transparency with me. Class members investigate a peace garden in the center of Birmingham that stands on a site where a church was bombed during World War II. Photo by Scott Hackman. On a walking tour in Bristol, we passed a church building that has been re-purposed into apartments and yet another that was used as an elderly care facility. In London, the former church buildings were used for music venues and community centers. These buildings stand as monuments to an era when the church shared power with the state. As this authority is shifting, followers of Jesus are seeing “church” less as a place of worship and more as a practicing community on mission in its local context. Anabaptists in the UK are asking different questions than the Mennonites of my faith community back home. In one London neighborhood with 90,000 residents, for example, only about .5% of people enter a church each week. We met with the community’s Christians, who asked, “What does the Gospel look like in this context?” After years of prayer and hard work developing relationships with their neighbors, they built a playground in the middle of a marginalized community. These Anabaptists are asking hard questions: What does the Gospel look like in our neighborhood? What is church when no one understands the basic story of Christianity? Who is the church for? In their persistent engagement, I saw a glimpse of the kingdom; I am encouraged to ask these kinds of tough questions in my context, too. As I return home, I continue to ponder what I heard and saw. Our neighbors aren’t going to engage in the future church if they can’t bring who they really are to the community of faith. They yearn to belong to a faith community before they will believe or behave differently. They’re not going to believe in a loving God if they aren’t loved. They’re not going to respond to the Gospel if it’s not a liberating move of love in their lives. Anabaptist followers of Jesus in England have given us a glimpse into our future and it’s one that fills me with grief and hope: grief because of the pain we have caused in the name of Jesus through our colonialism and patriarchy and hope because people are expressing the Gospel message and following Jesus outside of the systems and hierarchy of religion. They are being and becoming the people of God—church—in a context we have not yet but still may encounter as America moves towards its own version of Post-Christendom. Scott Hackman is part of the missional team at Doylestown Mennonite Church and a student at Eastern Mennonite Seminary, PA campus. He has received assistance in his education through the Area Conference Leadership Fund—to learn more about the ACLF or to make a contribution, click here.